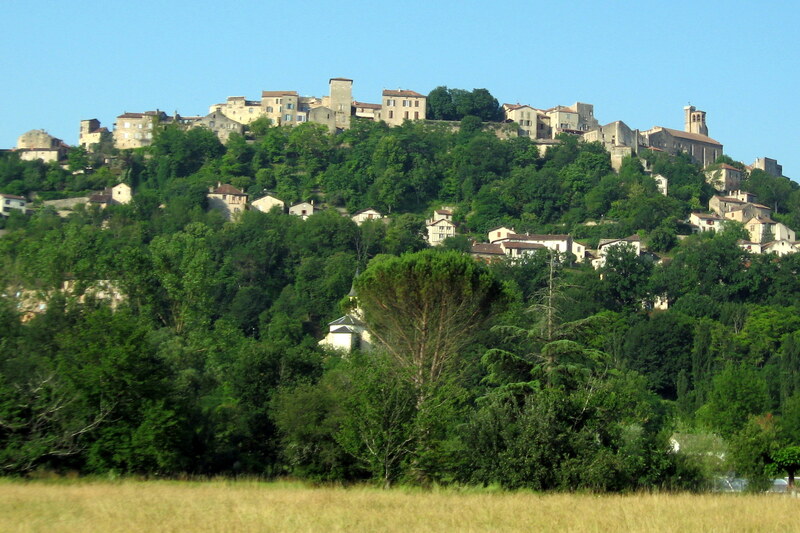 Tuesday , June 29	Travel Day, Mostly – Train to Cordes-sur-Ciel – Walked 5 kms. | Say Mar Say! - C'est Marseille! 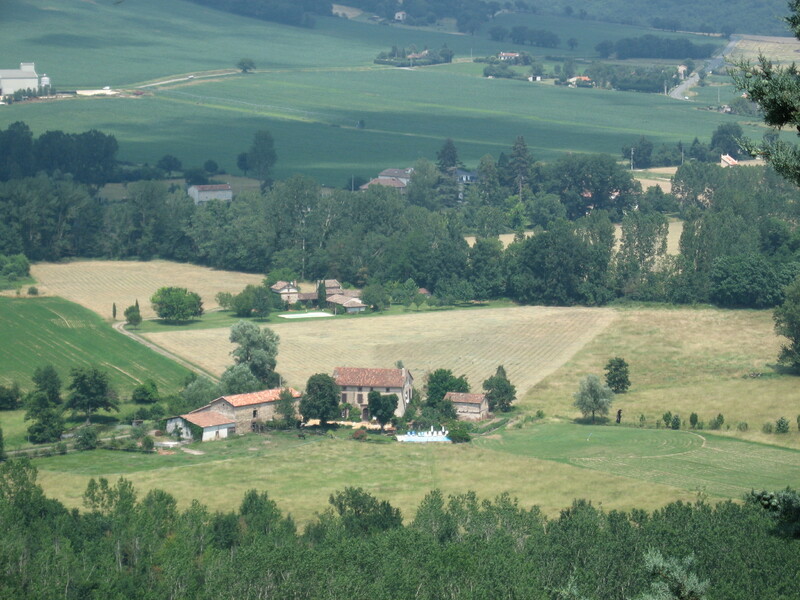 « Wednesday, June 30 – Walked from Corde-sur-Ciel to Cahuzac-sur-Verre – 16 kms. Tuesday , June 29	Travel Day, Mostly – Train to Cordes-sur-Ciel – Walked 5 kms. Took 9 AM train one stop to catch a bus to the gare of Corde-sur-Ciel. They are improving the rail so no train to Corde. The gare was 5 km. from Corde and our chambre d’hote Les Tuilleries actually located in Cabannes, an adjoining village. We walked, so we got some kilometrage in after all. The place was a choice very beautiful old farmhouse with a piscine (pool) located in the country. We walked across a field and then up to Corde. Impressive, especially on top. Many homes for sale in Corde, likely by the English fleeing due to the financial crisis. Stopped by a post office to mail unnecessary items to the Hotel Grand Amelot in Paris to lighten our loads. Corde is close to having too many tourist shops and someone told us that at the height of the season, it is. But it was impressive. We walked down the other side to Cabannes to use a free internet computer at a social service agency. Swam in pool at our place. Passed on a repas (meal) at our place, so missed a lovely group dining outside. Ate at a “gourmand” Logis de France hotel restaurant in Cabannes that was uninspired but enjoyable on the terrace. 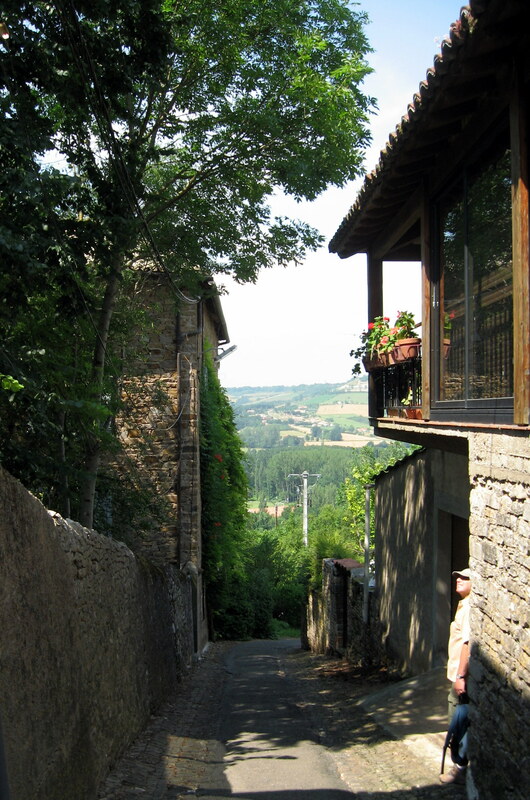 This entry was posted on February 7, 2013 at 10:04 am and is filed under Hiking In France. You can follow any responses to this entry through the RSS 2.0 feed. You can leave a response, or trackback from your own site.